One of the coolest things about being an entrepreneur is that you get to be your own boss. However, in the words of Spiderman’s Peter Parker, “With great power comes great responsibility.” Owning a business means wearing several hats and juggling marketing, meetings, trade shows, conventions, strategy sessions, and so on, and so forth. Owning a business, especially a start-up or a small business, often means you’re your own scheduler and administrative assistant. Luckily, technology and software has allowed us to transfer some of those tasks online. Meet Doodle Online Calendar. 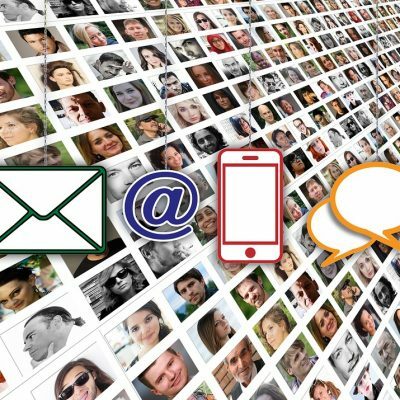 How many times have you participated in back and forth emails because you need to schedule a meeting and there are way too many required people; all with busy schedules? It happens to all of us. However, Doodle Online Calendar will sync with everyone’s system: Google Calendars, iCloud, Office 365, Outlook, and iCal; making it a cinch to get everyone on the same page. All invitees will receive a poll with a picture of a calendar, with potential meeting time slots and yes or no options. It’s so user friendly, an elementary school kid could figure out how to use it. And because it’s connected to your work calendar, you won’t have to flip back and forth between pages. Are there limits to how many people can be synched to one event? If you sign up for a free account, you can invite up to 250 people. That’s one heck of a reunion. It’s also a great starting point for inviting people to come to your product launch event or cocktail party. And since the invitations are sent out with a poll requesting a time that works for everyone, it increases your chances of people actually showing up. You can create an account using your Google, Facebook, or email log-in information. It’s easy to use, practical, efficient and it minimizes the likelihood of human error while increasing the likelihood of attendance. It’s a win-win solution for everyone involved. If you’re still not sold on Doodle Online Calendar, there’s a few other online schedule solutions for little to no cost. Calendly allows you to share your customized schedule link via email or your website and clients can select a time. 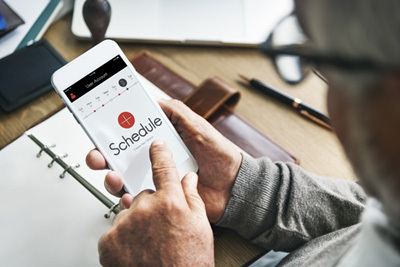 The free scheduler integrates with Google, Outlook, Office 365 or iCloud calendar so you’re never double booked and works with existing apps, such as Salesforce, GoToMeeting, join.me, Zapier, Slack and Mailchimp. Setmore is a free, online scheduling platform featuring social media integration, text or email reminders, an iOS and Android app, and website plugins. me is online scheduling solution for small and medium-sized businesses of all types. Offering both free and paid subscriptions, Simplybook allows unlimited service providers and clients, customization tools and scheduling analytics. There has been lots of improvement when it comes to hosting meetings. One can host a meeting virtually, share documents, display presentations, edit and update in real time, all of which has been incredibly useful… but only if you can get all the attendees to agree to a time. Simplify the process!